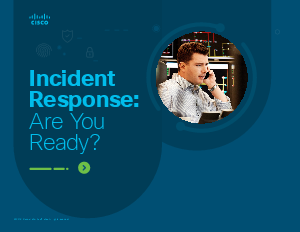 > Research Library > Cisco Umbrella EMEA > Incident Response: Are You Ready? business partners? Are they secure? is one thing that could help: a solid plan. Download this ebook in order to be provided with some insights to help you build and strengthen your organization’s incident response plan.